Family and friends of Edna May Foster of Rosetown, SK are saddened to announce her passing on Sunday, August 12, 2018 at the Rose Villa at the age of 99 ½ years. Edna was born on a homestead not far from the town of Colonsay, SK. She received her early education at Boyne, a rural school, grades nine and 10 by correspondence in Saskatoon and grades 11 and 12 in regular classes at City Park Collegiate, a three and a half mile walk from home. Her remaining education (secretarial, accounting, etc.) came largely from night school classes while she continued to support herself. Edna’s work career began in 1937 at the Bessborough Hotel, she then worked as an accountant for a plumbing business and a construction firm and as secretary/treasurer for Cliff Claggett Rodeo. On January 1, 1958, she moved to Rosetown to work for Elliott & McDonald Real Estate and Law Firm. She married Norman Foster in 1961 and shared farm life with him until his death in 1989. In 1967, Edna opened her own business, Foster Services, a travel, general accounting and real estate business which she ran successfully until she sold the business in 1993. 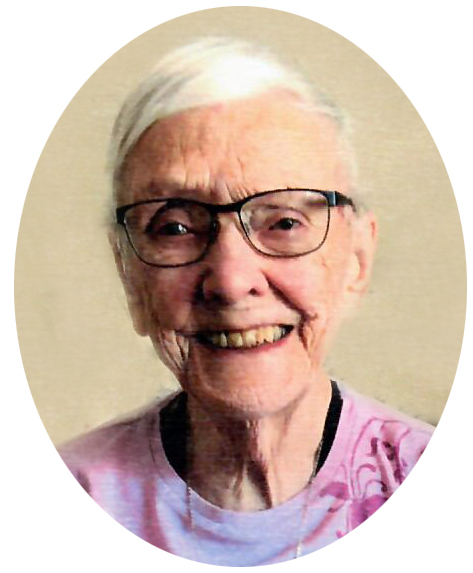 She continued to live in Rosetown and turned her attention to local volunteer activities, most notably a founding member of the Rosetown Hospital Foundation, Rosetown Museum and local and provincial senior citizen organizations. Edna is survived by grandson Timothy Halen, granddaughters Janice Palmer and Susan Taylor and their families, several nieces, cousins and their families and special friends Donald and Marian Russell and their family. She was predeceased by her husband Norman, parents John Fredrick Longstaff and Harriett Elizabeth Heskett (née Cracknell), brothers Jack and Fred, step-brother Andrew, sisters-in-law Delores, Florence and Rose, step-son Earl and step-daughters Eunice and Norma. A Celebration of Edna’s life was held on Thursday, August 16, 2018 at 11:00 a.m. at Shanidar Funeral Chapel with Reverend Jo-Ann Hills officiating. In lieu of flowers, memorial donations may be made to the Rosetown Senior Citizens Centre, P.O. Box 67, Rosetown, SK, S0L 2V0.